Science is all about structure in the work of Anna Gres. For the past four years, she’s looked closely at one HIV protein to figure out its shape in order to stop the virus. Gres takes her work on this protein to a national stage next month when she speaks at the Retroviruses meeting at Cold Spring Harbor Laboratory — one of the most prestigious international conference on retroviruses — as the recipient of the 2016 Uta Von Schwedler prize. The prize recognizes the accomplishments of one distinguished graduate student as they complete their thesis. HIV capsid protein has been studied for almost 30 years, but it’s been tricky to get a precise depiction of what it looks like. Gres uses X-ray crystallography to essentially capture the protein in all its 3-D glory. This method gives scientists the higher resolution picture to study the molecular structure of capsid protein. 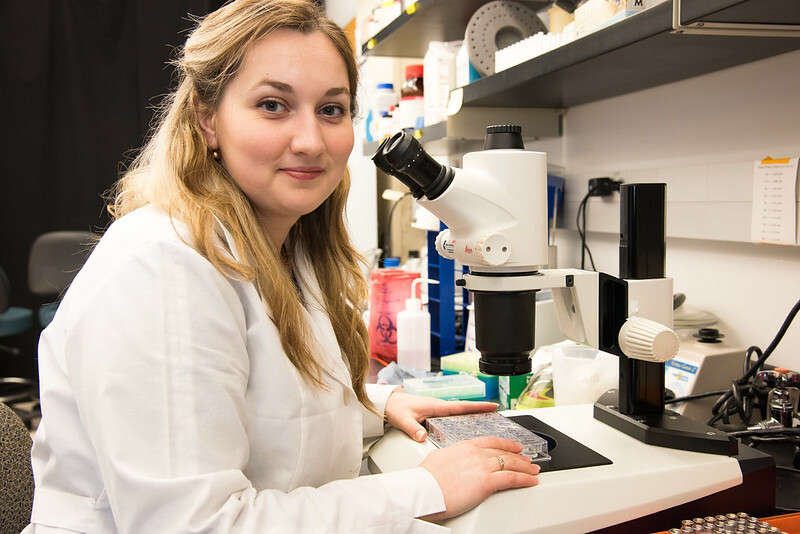 Her work allows the Sarafianos lab and others to study how it interacts and connects with other capsid proteins and the host protein factors of the cell HIV is trying to take over. Now that the Sarafianos lab and Gres have a good idea of what that native protein looks like, they’ve moved on to other mutated versions of the protein that impair virus infectivity. This could give them insight into how scientists can stop HIV.